Legendary leaders do not sprout overnight. They grow over time, taking root in the midst of challenges to become even stronger. When stress levels are at a boiling point, it can be easy to succumb to doubt and visions of failure but there are several key qualities that every great leader learns to harness for success. One of the essential qualities of an excellent leader is the ability to overcome challenges. Anything worth having in life takes time, which means a person must persevere no matter the roadblocks ahead. A distinctive quality of being a great leader, is a willingness to go beyond where others would stop. It may seem easier to give up at the first sign of trouble, which is what most people do but legendary leaders dig in and get down in the trenches. Perseverance is about choosing the trenches. 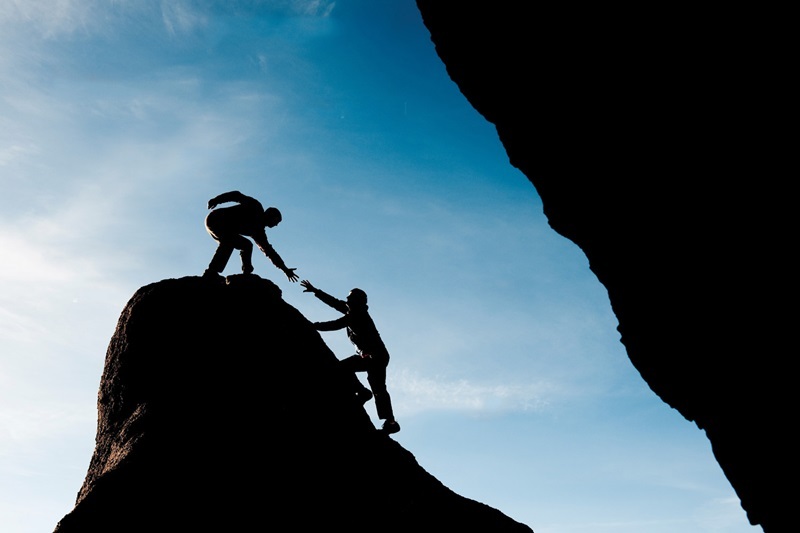 When an individual leads a group of people, he or she needs to exhibit perseverance to effectively guide the team down the path to achieving its goals. Any leader will be faced with difficulties that prevent the team from moving forward. The mark of a legendary leader, is one that finds a potential solution and implements it with decisiveness. If a leader does not have the ability to persevere when faced with obstacles, the team suffers and so does its chances of achievement. Great leaders pursue excellence, never perfection. Perfection is a selfish notion that an individual must be better than everyone else.The pursuit of excellence is an intentional and focused journey towards innovation. Individuals with this unique characteristic always see an opportunity to learn, grow and do better. Legendary leaders are never satisfied but continually find ways to improve and provide value. There is no done but a continuous push for progress. Without confidence, leadership is nonexistent. Self-confidence is the foundation from which leadership is built. Creating a house on a weak foundation results in a shaky structure.While the fearful will wrestle over decisions and always choose the safe option, the confident will use the information they have and take action. Bold leadership does not wrap itself in a cocoon of safe decisions. Ambition is the inner fuel that drives legendary leaders toward their vision. People with ambition do not just sit around for their dreams to come to fruition, they make it happen. Rather than daydreaming about owning the corner office, driven individuals develop their own businesses and, in the process, inspire others to join their team, adopt their vision and strive for brilliance. When a leader creates a vision, they implement a long-term, proactive method for achieving it, which requires commitment. These influential individuals have a duty to do the right thing no matter what and make tough decisions. Inspiring leaders accept the fact that expectations are higher for them than for those within their team or organization. They understand the obligation they have to uphold a higher standard of behavior for their community to follow. An important characteristic of being a legendary leader is intellectual humility. Without humility, an individual is incapable of learning. Humble leaders seek feedback from others to ensure they have all the facts and are making decisions that are in the best interest of the team. People gravitate towards leaders that value their opinions rather than those who ignore or dismiss them. Leaders that exhibit humility are comfortable asking for input but are equally decisive when the situation calls for it. When leaders demonstrate these behaviors―perseverance, excellence, confidence, ambition, commitment and humility―people are motivated to perform at a higher level. A legendary leader paints a compelling vision of the future that encourages team members to work together to attain it. Embrace these qualities and be a leader that influences people and achieves amazing feats.